With the holiday season now underway, the perennial tipping stories are soon to surface, advising Canadians on what is an appropriate holiday tip for their trainers, hairdressers, dog walkers, Baristas and any other service provider they may have interacted with throughout the year. While such stories are typically viewed through the lens of the person expecting the tip, the people at Lendful Financial believe it’s time to dramatically change the conversation. The online lending platform crunched the numbers and found that the average single Canadian in their late 20’s to early 30’s spends up to an incredible $2,500 annually on tipping, or $76,627* throughout their adult lives. This at a time when that the average wage for Canadian employees is $943 a week – or just over $49,000 a year (After-tax, a little shy of $41,000 per annum, $3,400 per month.) And with many younger Canadians un- or underemployed, the after-tax income is even greater. 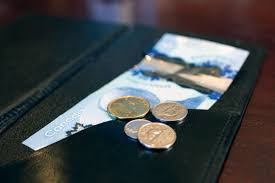 To further illustrate the point, Lendful commissioned an online survey to gauge the tipping habits of Canadians. The poll found that over a quarter of respondents (26%) who earn less than $20,000 regularly tip between 15 and 20 percent. One sixth of respondents (15.5%) regularly tip 20%, regardless of income. Men also tend to tip more than women, with 54% of male respondents regularly tipping 15%, versus 42% of women. At the other end of the spectrum,15% of respondents tip less than 10%, while 11% admit to not tipping at all. Benjamin is not suggesting that eliminating tipping is the answer; rather, he recommends being mindful of the amount, and being cognizant that a 20 percent tip to a service provider can contribute to significant debt over time for the customer.